CASA's mission is to provide a volunteer advocate to every abused and neglected child in the custody of CPS from Walker, San Jacinto, & Trinity Counties. In the last two years, our 3 county area has experienced an overwhelming increase in the number of children in foster care. Just 2 short years ago there were less than 90 children in foster care from our area. Today there are nearly 200! CASA is 100% committed to providing advocacy for EVERY child. We want to be there for every court hearing, every CPS meeting, and even every birthday party!! But with 200 children, we can't do what we do without the support of our community. With a $50 commitment to CASA, community partners can help stand up for the children who need us most and will help us make sure EVERY child has an advocate and voice in court. 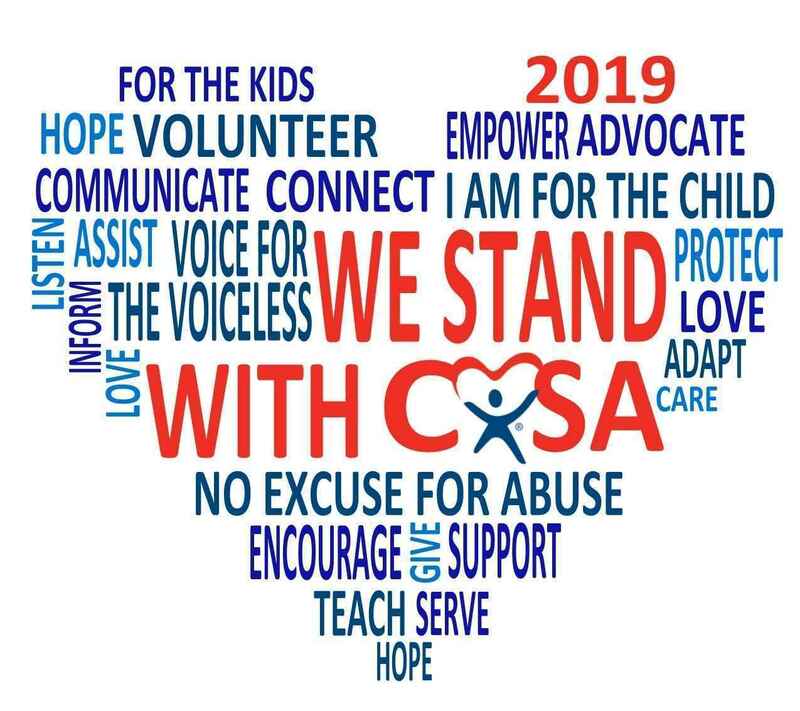 Each contributor will receive an exclusive "We STAND with CASA" 2019 decal! I believe in CASA! It is an awesome program for children in need of a voice.